The reign of Apple being the most valuable company ended on Friday. 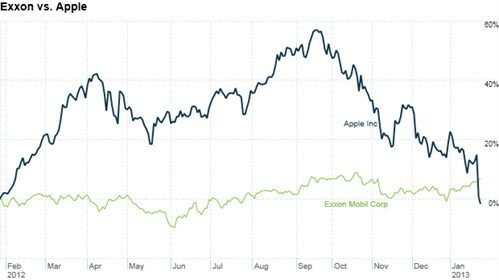 After one year of being the most valuable company, it lost that title to Exxon as their shares slipped. The decline has caused Apple's stock to drop in value by about $250 billion since September 2012. Let that number sink in, that's a quarter of a trillon dollars. The experts in the stock world claimed the Apple stock's main reason for it's plunge was the less than anticipated iPhone sales.